Just a reminder that I’ve moved over to https://aphelocoma.com! I just made my first of a series of posts about a great trip to Texas I took recently. Go over and take a look! After six years of writing at Flight of the Scrub-Jay, I have decided that it is time to move on. Head on over to http://aphelocoma.com for all future posts (I will continue to keep this site up for posterity/referencing purposes). Yesterday evening (8/31), I made a quick stop at Cow Yard Road in Chatham after work. 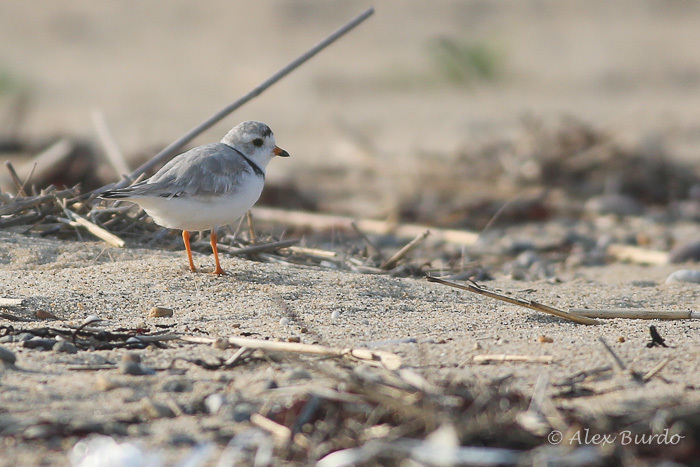 With the help of a scope, Cow Yard is a good place to observe shorebirds at the right tides (low, and especially, rising and falling). With the virtual disappearance of South Beach as a birding spot (thanks to very limited access), Cow Yard has become one of the better spots to find Hudsonian Godwit on Cape Cod. Or at least that’s what I’d always heard. But after seven visits to the Cow Yard without any luck, I was starting to become skeptical. Yet, with a couple of hours of daylight left, I made my eighth attempt. The light couldn’t have been better. The setting sun was at my back, giving a crisp, warm feel to everything it touched. 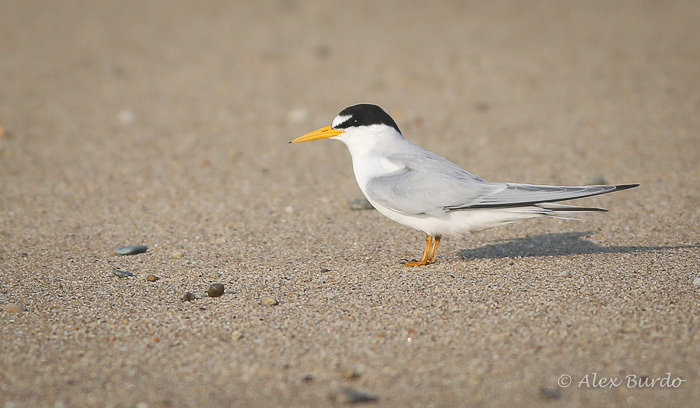 The tides were also perfect: early on a rising tide, thus concentrating all of the shorebirds. After only ten minutes of scanning, an awesome juvenile Hudsonian Godwit (HUGO in banding lingo) appeared on the flats, foraging amongst Black-bellied Plovers, Short-billed Dowitchers, White-rumped and Semipalmated Sandpipers, Red Knots, Western Willets, and others. 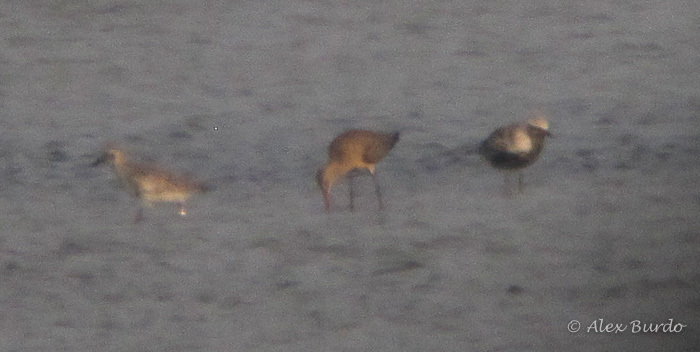 Juvenile Hudsonian Godwit. 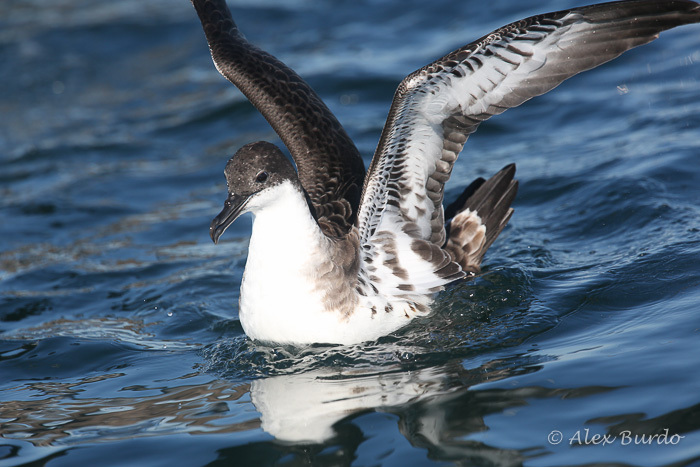 Note the warmness of the plumage, which identifies this bird as a juvenile. 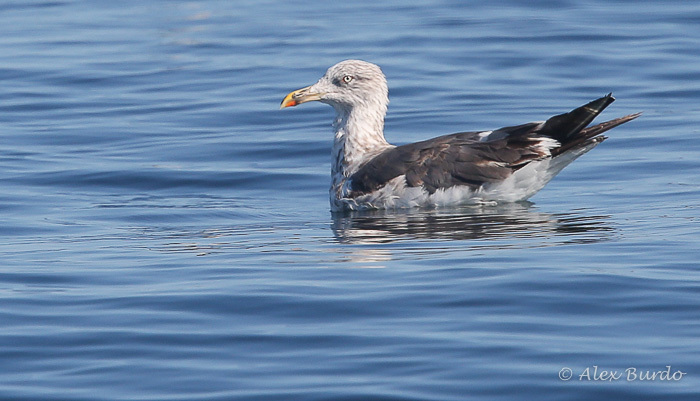 Nonbreeding adults would be a lot grayer, and thus colder, in appearance. 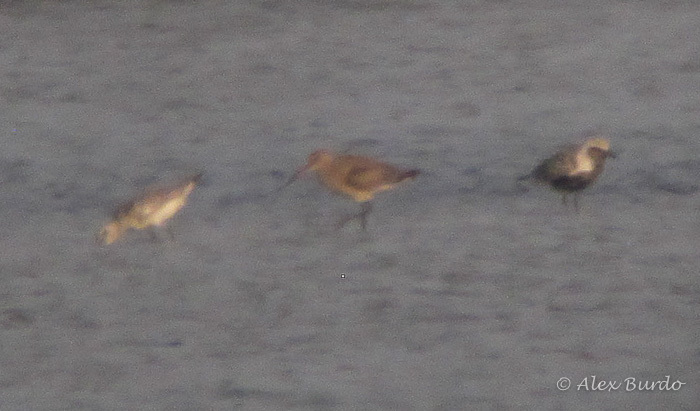 The godwit vanished as suddenly as it had appeared, perhaps headed back to the now-mythical South Beach to roost. 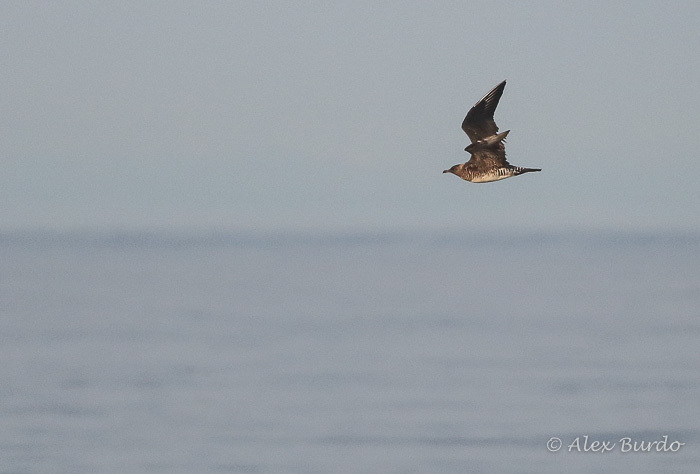 On Thursday I enjoyed my first Chatham “Mini” Pelagic of the season. I’ve done a few of these trips over the past couple of years, and have always had a blast out there. 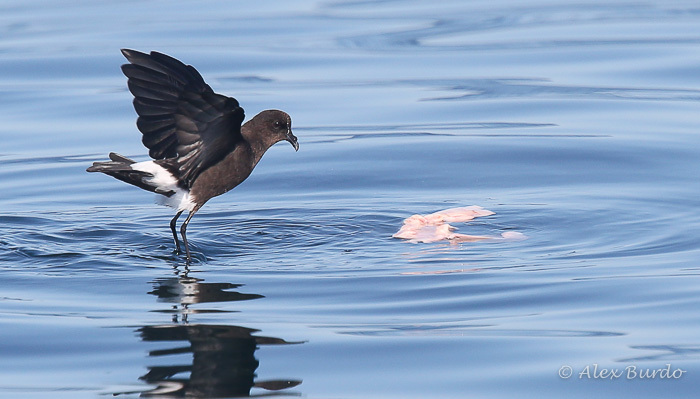 Birding nearshore waters on a boat limited to seven people is a much different experience than trudging out to the continental shelf waters on a one hundred foot party fishing vessel. 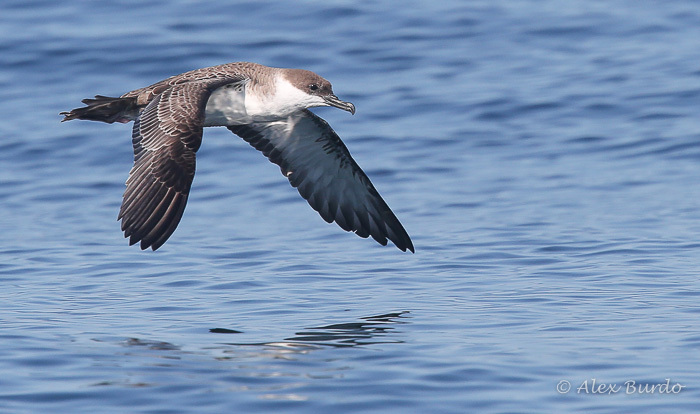 An observer is much, much closer to the water level on the Chatham trips, and often much closer to the birds. Opportunities for photography are unbeatable. 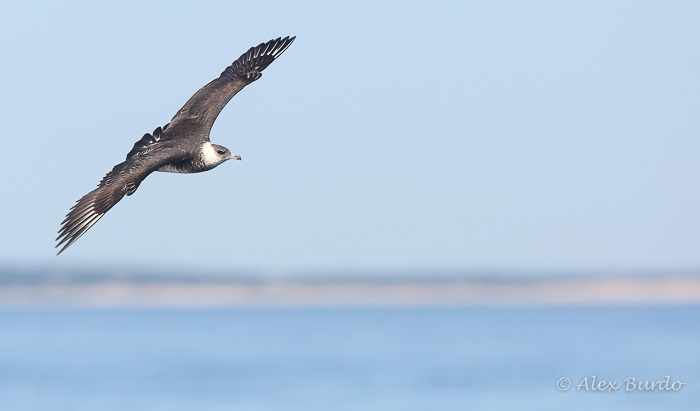 The Chatham Pelagics are organized by veteran Cape Cod birder Blair Nikula, who often leads these trips. 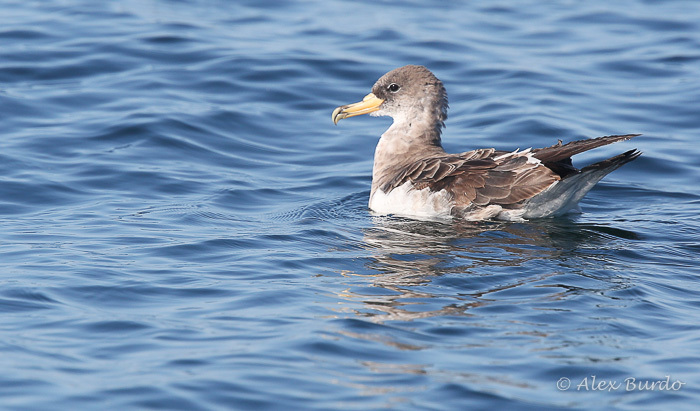 Over the past few years they’ve recorded such species as Sabine’s Gull, South Polar Skua, and Long-tailed Jaeger. 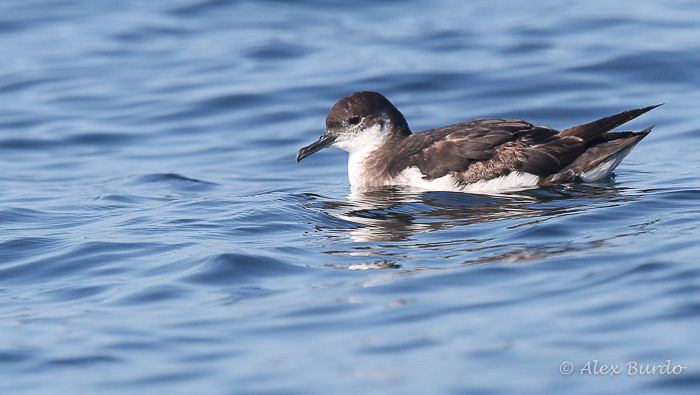 A similar trip chartered by Blair out of Provincetown earlier this year recorded a Fea’s Petrel (!! ), only the second (?) record for Massachusetts. 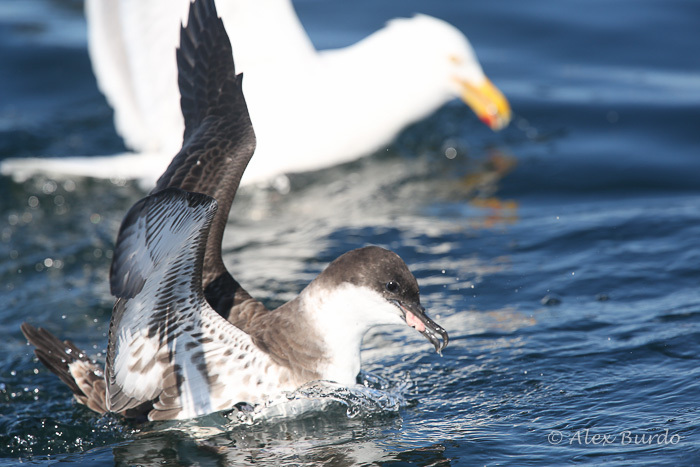 The weather couldn’t have been more perfect over the course of our voyage, and we enjoyed fantastic seabirding throughout. 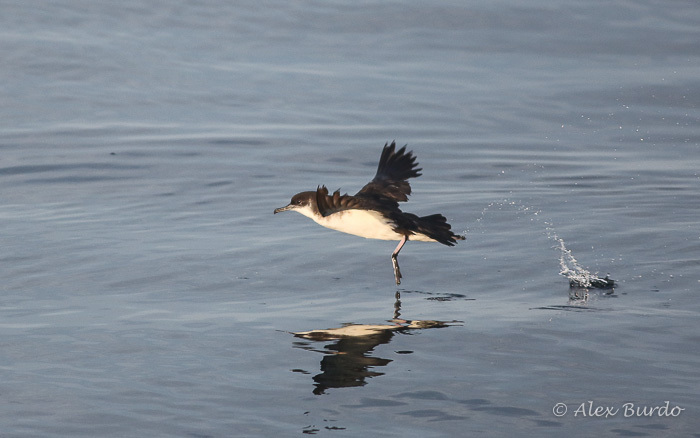 The highlight of the trip was absolutely killer views of two awesome Pomarine Jaegers (one apparent second and one apparent first summer; another “Pom” was seen more distantly). 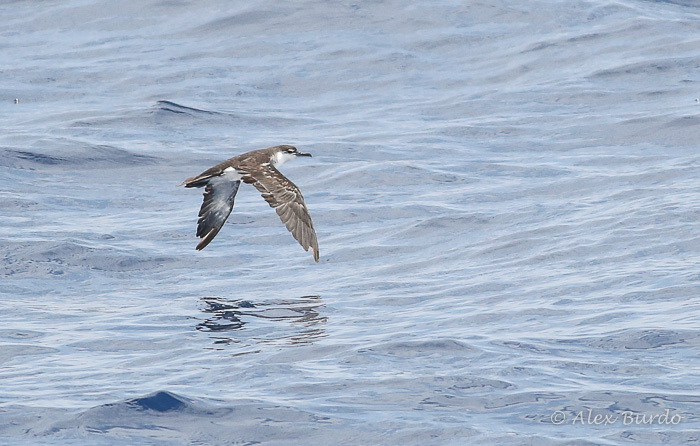 Other highlights included all four shearwater species (Cory’s, Great, Sooty, and Manx) in a single raft (something that I’ve enjoyed on every trip), triple-digit numbers of Red-necked Phalaropes, three distant Parasitic Jaegers, a couple of Northern Gannets, twelve Lesser Black-backed Gulls representing a variety of plumages, and abundant Wilson’s Storm-Petrels. 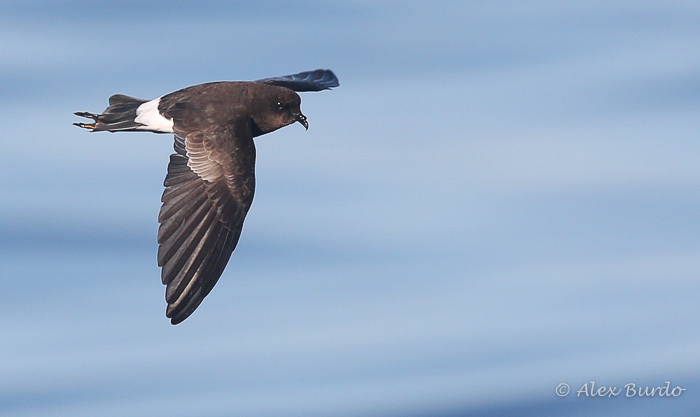 An eBird checklist with a photo of our route can be found here. 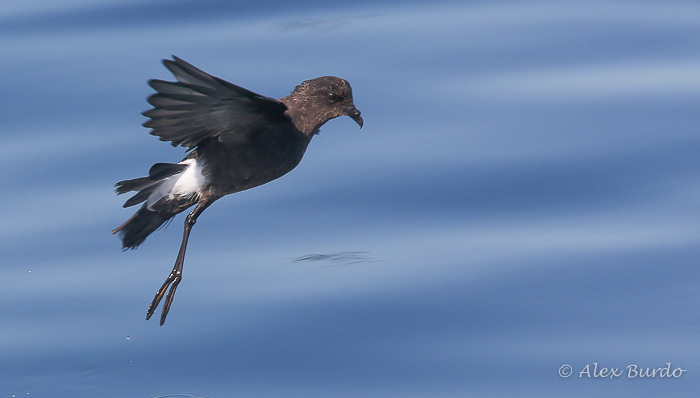 A Wilson’s Storm-Petrel with a divided rump, a trait rarely shown by this species. 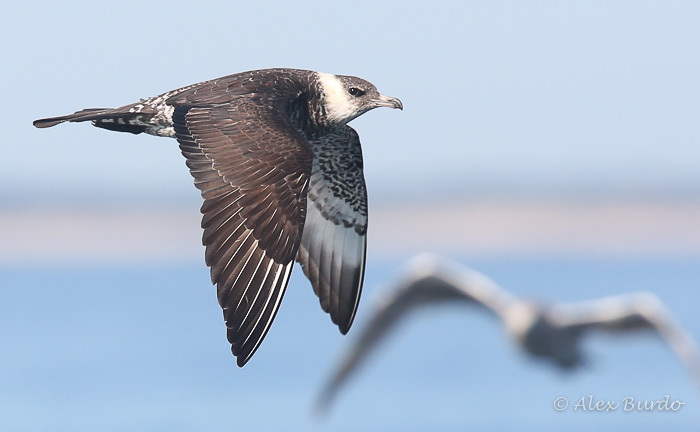 Awesome looks at two Pomarine Jaegers. 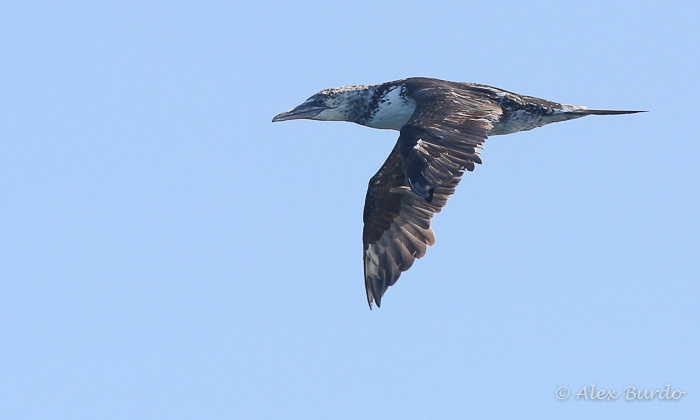 The other photos show the older bird. 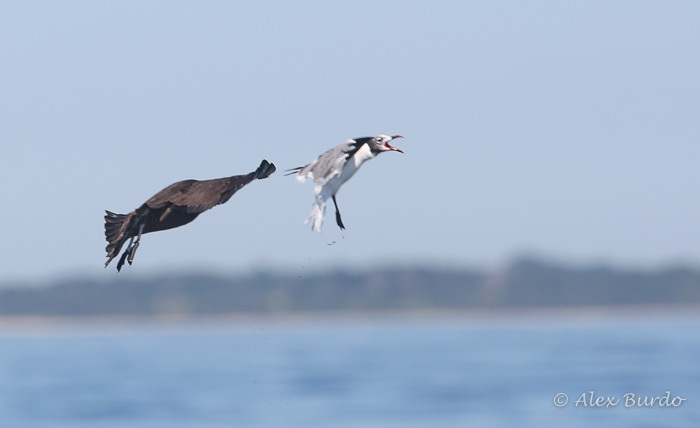 Pomarine Jaeger chasing a terrified Laughing Gull. 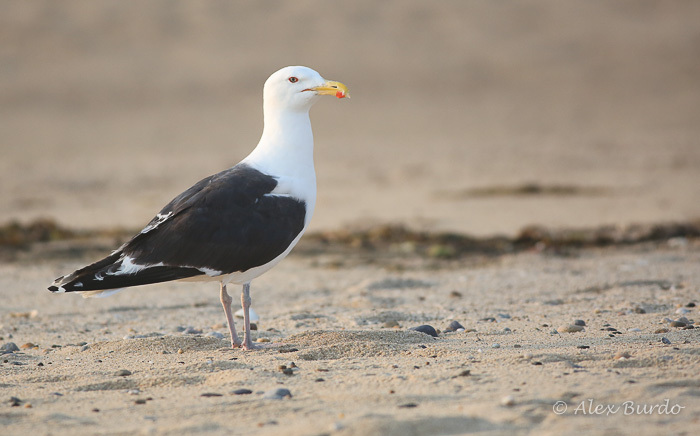 Third cycle-type Lesser Black-backed Gull. 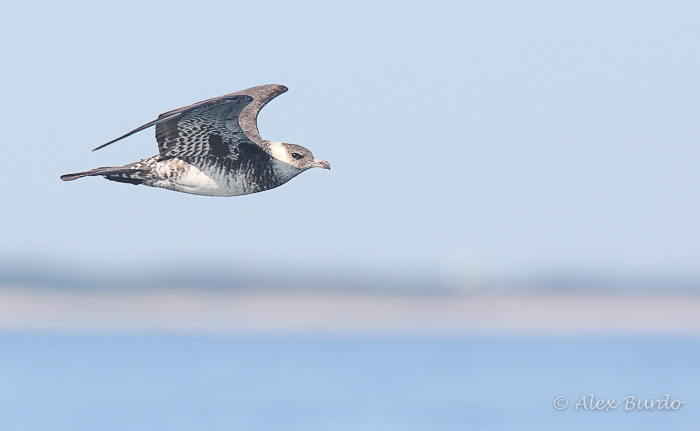 Back on Sunday, July 12th, I made my way up to the Provincetown area to get some birding in before work started. Per usual, I’ve been spending my summer on Cape Cod, and this year have been working at one of my favorite places: The Birdwatcher’s General Store in Orleans. Trying to get in as much time as I could, I began my day at sunrise at Race Point. 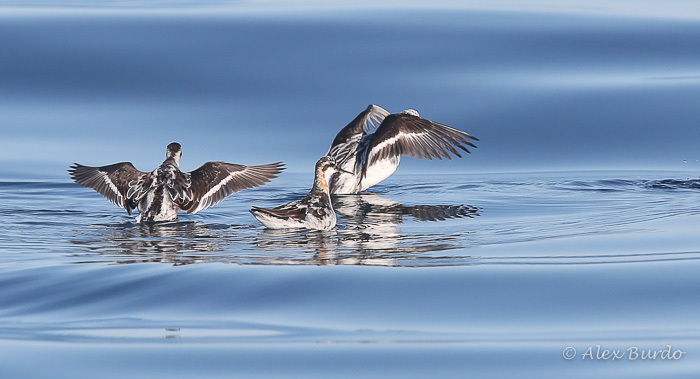 Birding in the Provincetown area is always fantastic, and maybe surprisingly, the dog days of summer are right up there with the rest of the year. 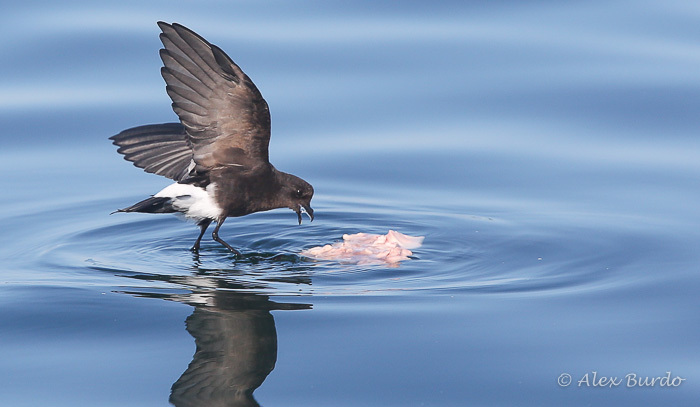 The area is home to summering first cycle Black-legged Kittiwakes, Bonaparte’s Gulls, and Arctic Terns, as well as nearby breeding Common and Roseate Terns, plus transient Royal and Black Terns. 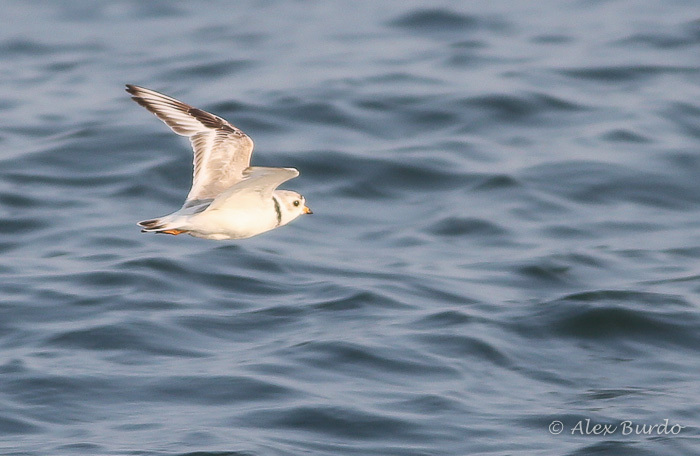 The shorebirding isn’t too bad either, and any visit to a Provincetown beach is the equivalent of an onshore pelagic. After Race Point, I started heading south toward Orleans, stopping at Moon Pond Meadow in Truro along the way. It was at this location last year that I had enjoyed fantastic looks at both adult and juvenile Virginia Rails right along the roadside. 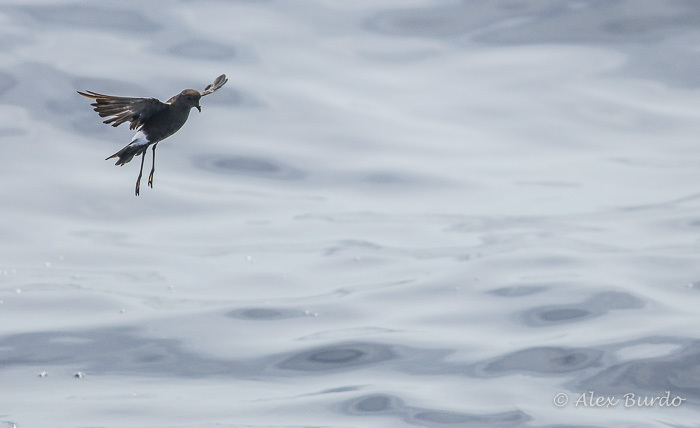 That experience was not to repeat itself this year, as I had but one briefly calling Virginia Rail at a distance. 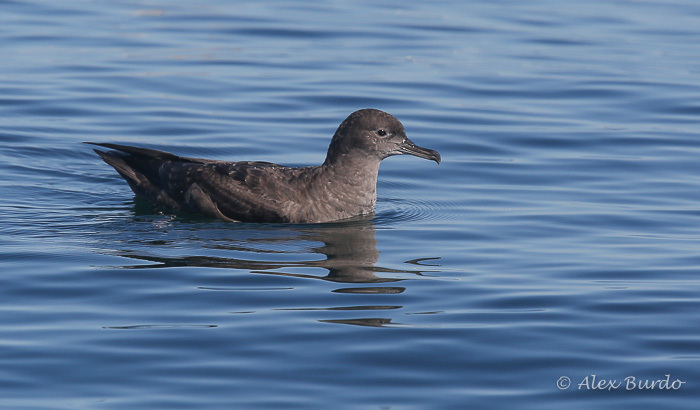 I surmised that because my visit was a couple of weeks earlier this year, the rails may have not been so bold, as the young may not have fledged. 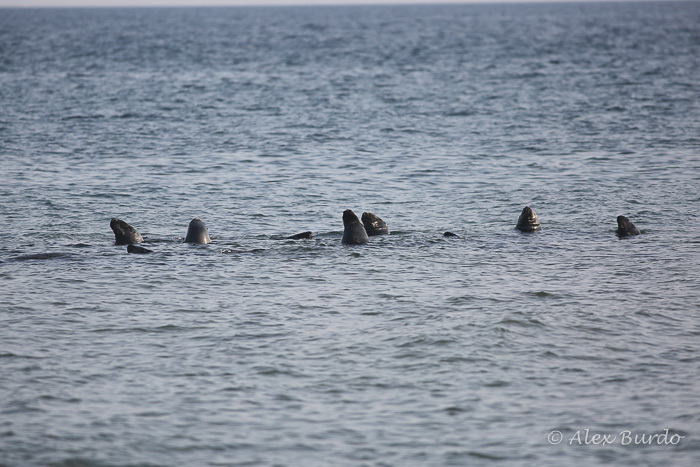 Either that, or they were just enjoying a different portion of the marsh for the day. 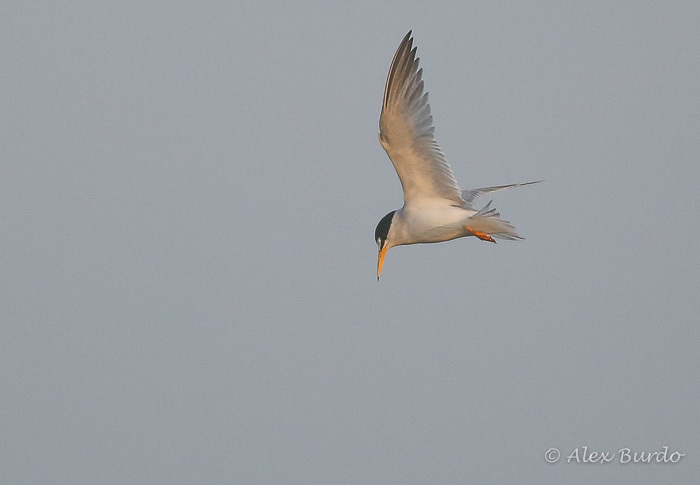 Other fun birds at Moon Pond included Green Heron and a nice flock of nine Lesser Yellowlegs. 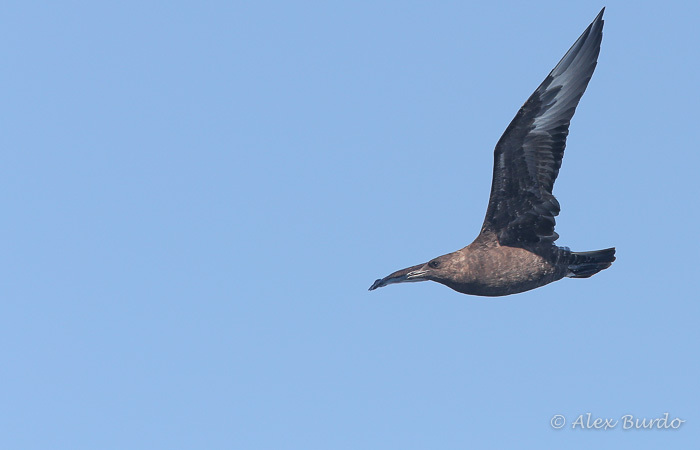 On Saturday I joined fifty fellow birders on a pelagic trip out to the continental shelf edge and canyons, far south of Nantucket, MA. 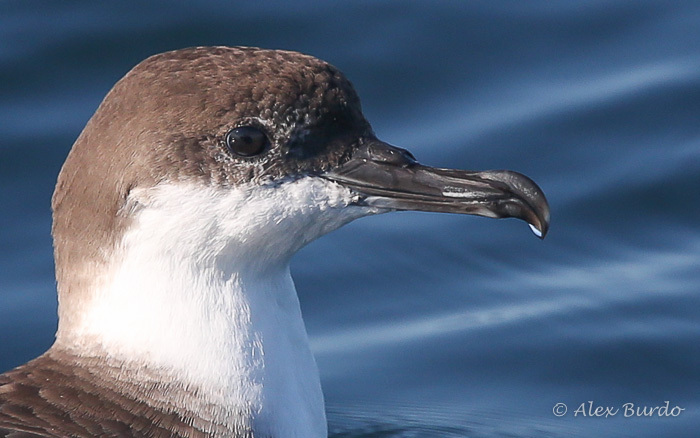 This trip was run by the Brookline Bird Club (BBC), which operates a slew of great trips out of Hyannis annually. 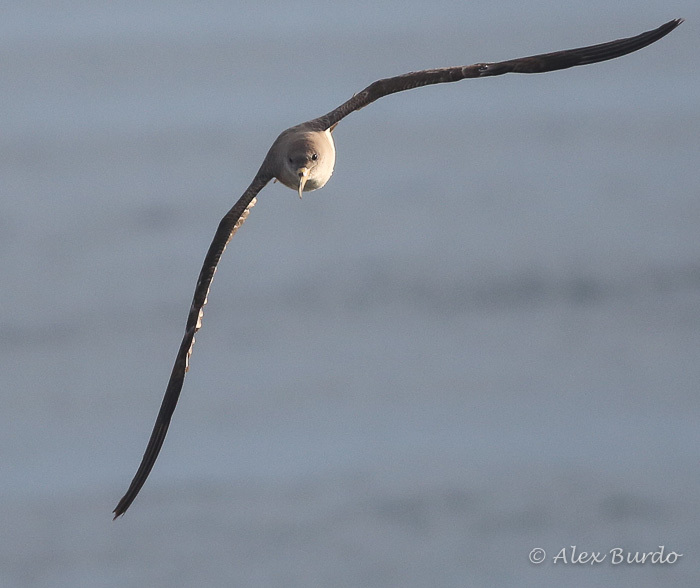 Having not been pelagic birding this year, I was looking forward to getting back out on the water. 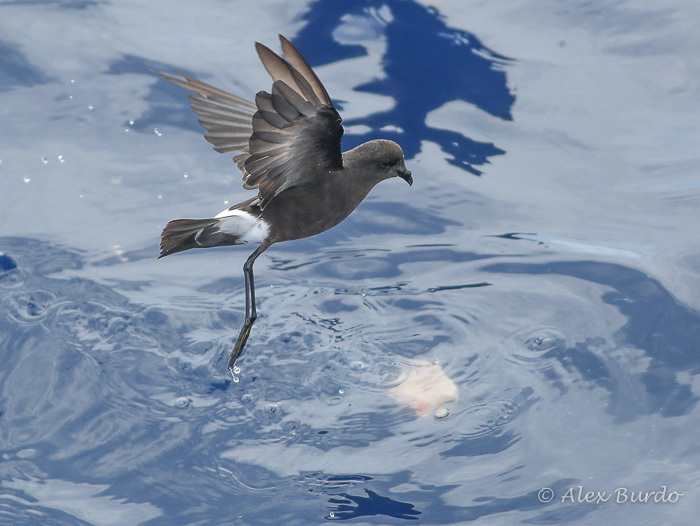 Hopes were high for a rarity following sightings of Black-capped Petrel and Bridled Tern in the warm water area that we’d be visiting. 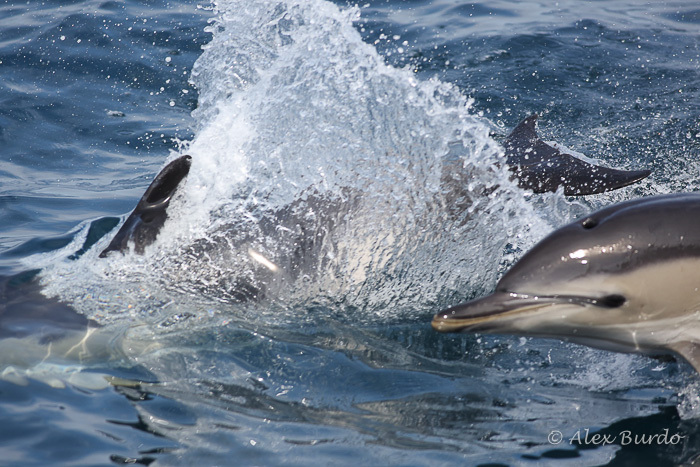 Unfortunately, we never did luck into any unexpected species, although we ran up a respectable total of both seabirds and cetaceans. 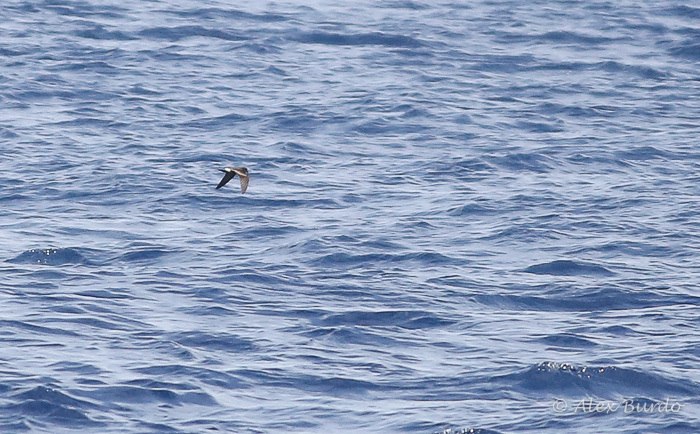 Personal highlights included: five species of shearwater (Cory’s, Great, Sooty, Manx, and Audubon’s), three species of storm-petrel (Wilson’s, Leach’s, and my life Band-rumped), Red-necked Phalarope, and Pomarine Jaeger. 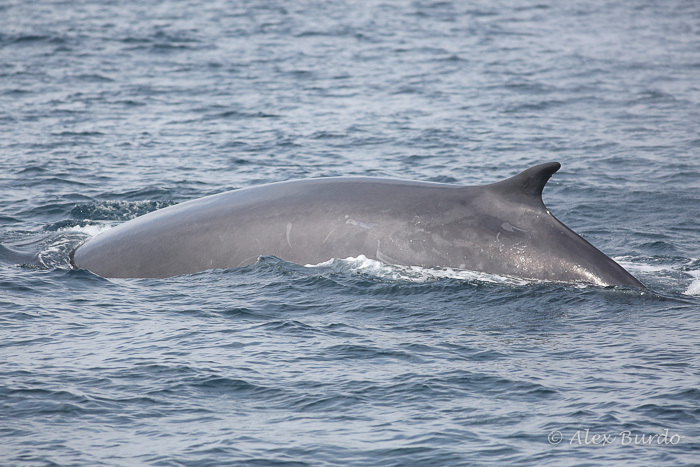 On the marine mammal front, we picked up such species as Short-beaked Common, Bottlenose, and Risso’s Dolphins, and Fin Whale. 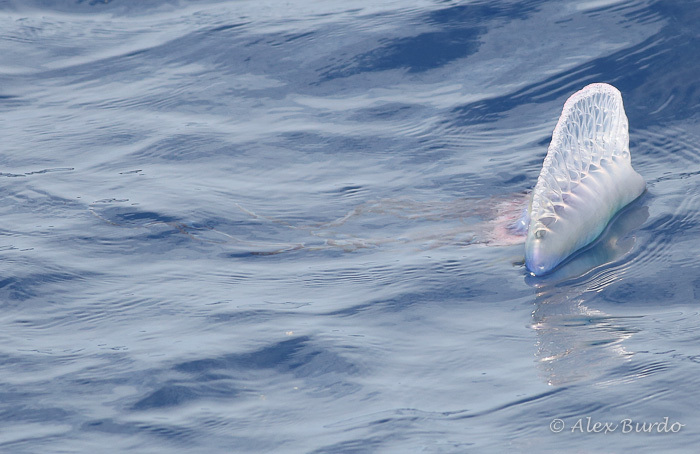 Other wildlife highlights included Basking Shark, Ocean Sunfish (Mola mola), Portuguese Man ‘o War, and a number of flyingfish. 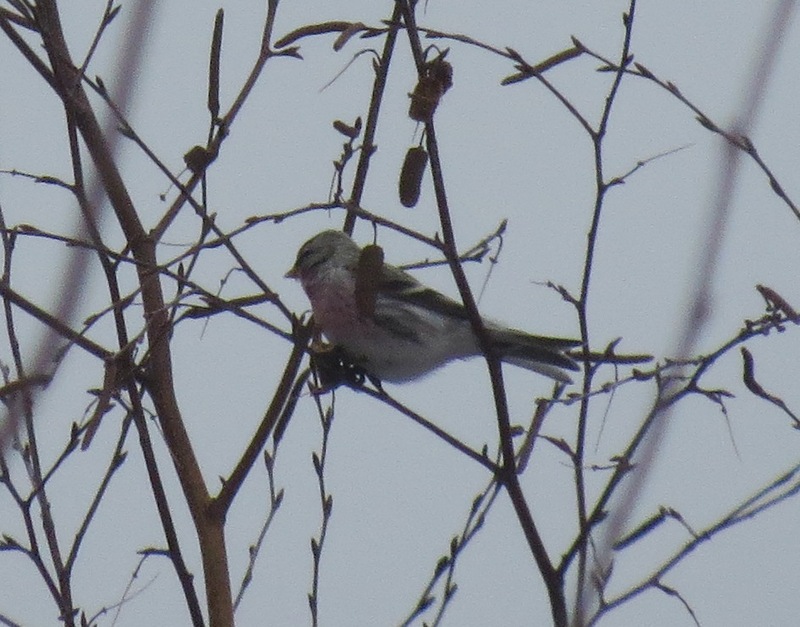 3/5 Note: After a lengthy period of discussion and review of photos, we have concluded that this bird is actually a Common Redpoll, instead of a Hoary as originally thought. 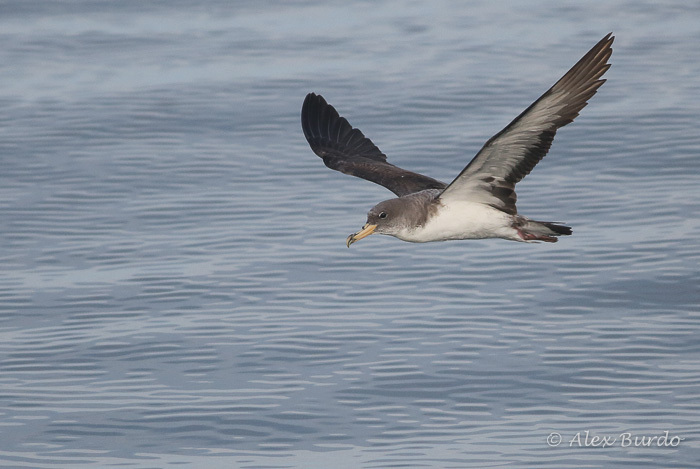 3/2 Note: We are still trying to wrestle with the identity of some of these birds, and whether or not any of the photos below show the true Hoary. Therefore, I would take each photo with a grain of salt, and try to exercise your own judgement, rather than going by what the captions say. 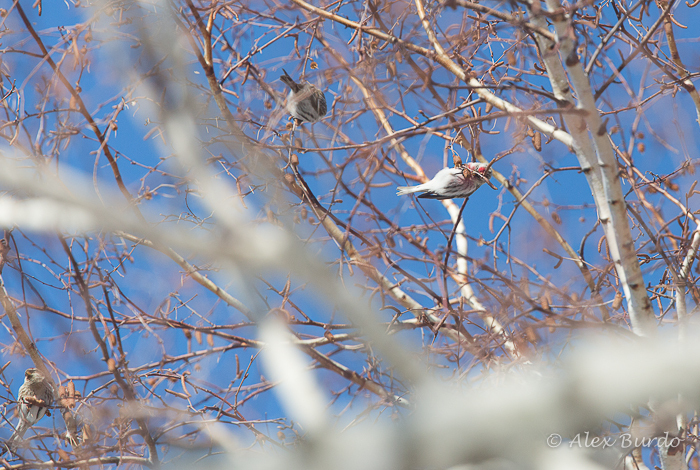 Yesterday morning, Aidan Kiley and I found an adult male Hoary Redpoll in a flock of around twelve Common Redpolls at Pine Creek in Fairfield. 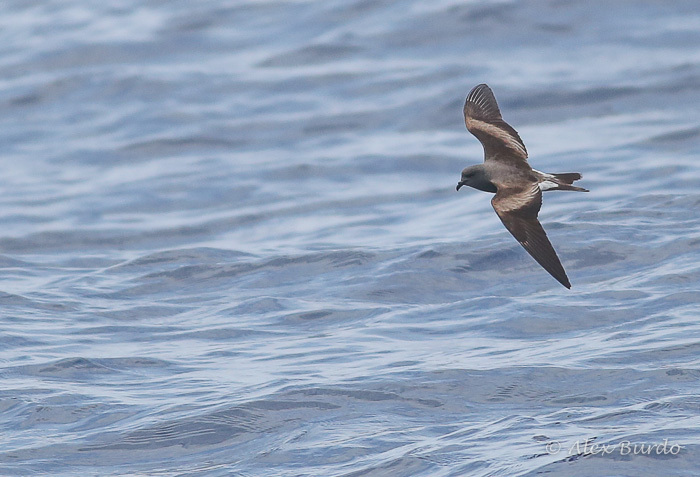 We were able to observe the bird nearly consistently during a period of roughly five hours. 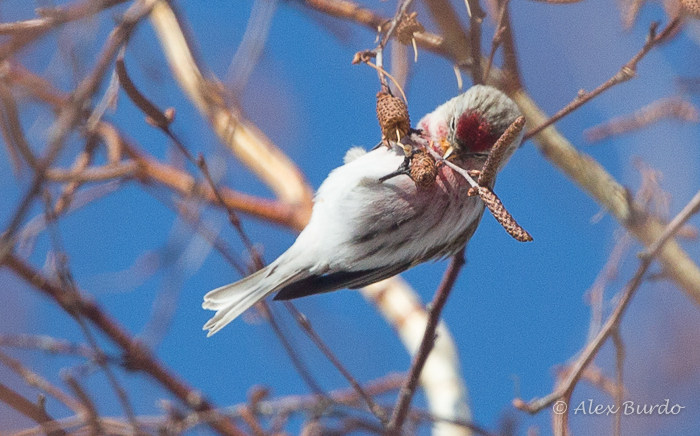 In that time, we were able to get good looks (including scope views for a time), at all of the necessary features to distinguish this bird from Common Redpoll, take some documentary photos, and even show the bird to a number of birders that had arrived on the scene. 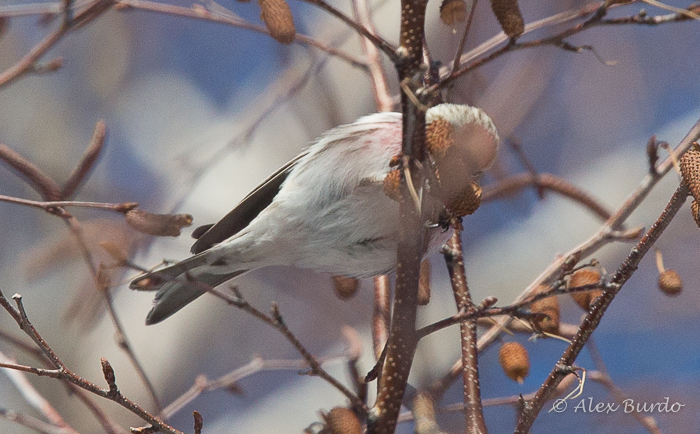 While I have seen Hoary Redpoll four previous times (three of them in Canada), this was nevertheless an extremely tedious identification process, that required lengthy periods of study, and review of photos. 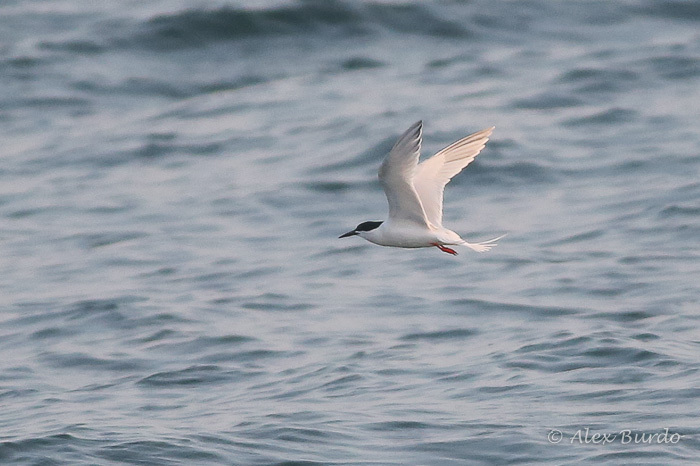 Eventually, after viewing this bird for over an hour, and talking it over with friend Nick Bonomo, I felt confident enough to put the word out to CTBirds. 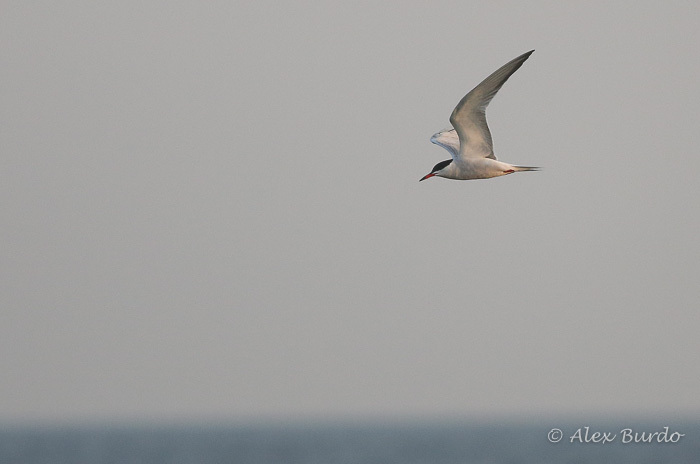 Over the next few hours, eight other birders came and went. 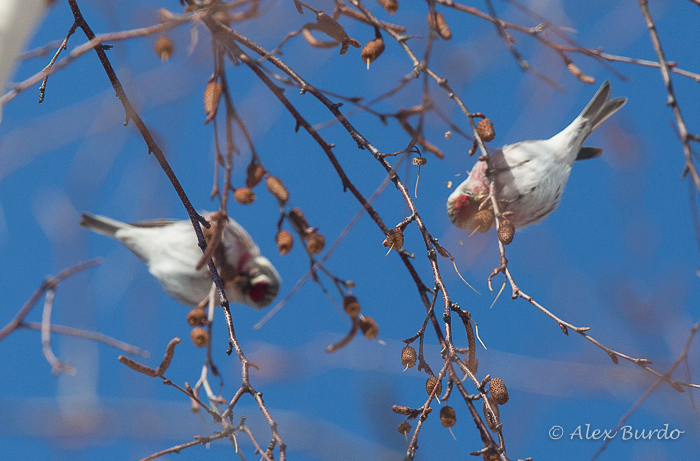 All of them were able to get good looks at the bird, which was a life bird for multiple people. 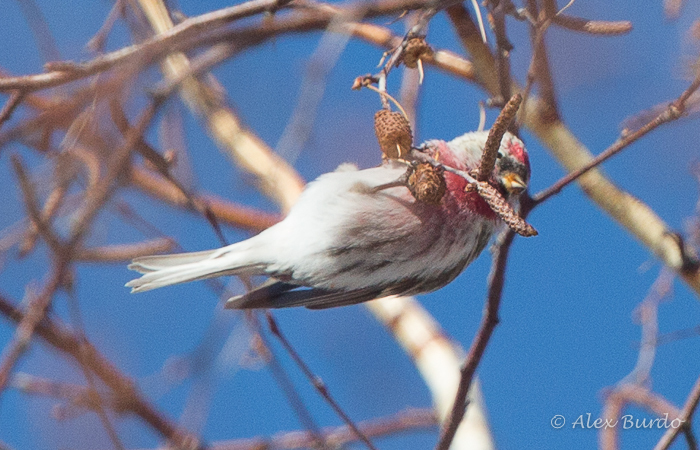 All in all, spending an extended period of time with this bird amounted to an incredible learning experience in the tricky nature of redpoll ID, and mirrored my initial encounter with Hoary in Ottawa, Ontario as being extremely illustrative in this subject. 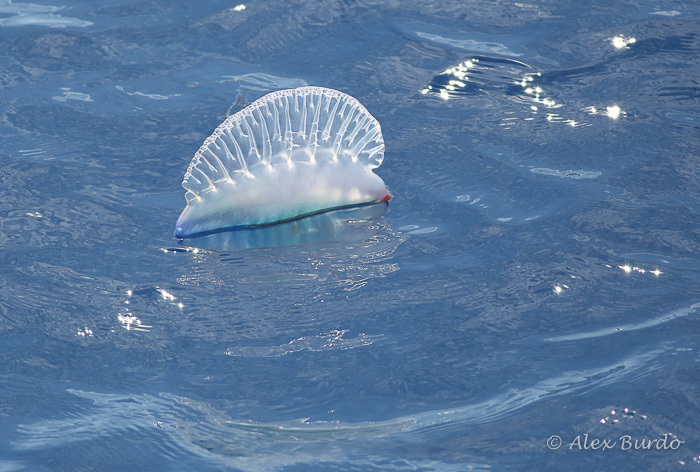 The only thing we’re really lacking on this list are distinctive upperpart features. 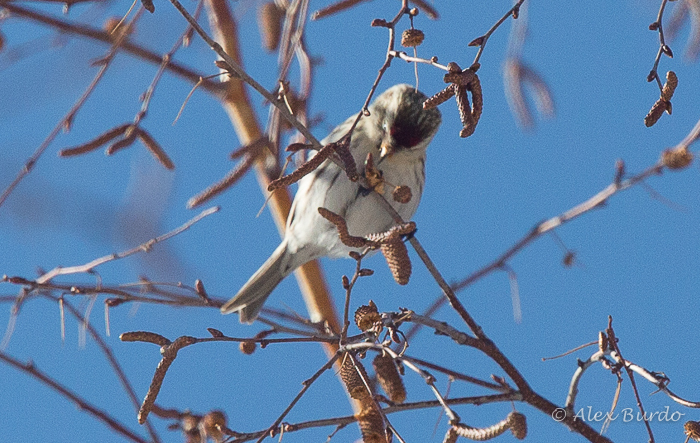 Unfortunately, looks at this area of the bird were extremely difficult to come by, as it spent its entire time feeding in a birch directly above our heads, really never providing an unobstructed, clear view of its upper half. 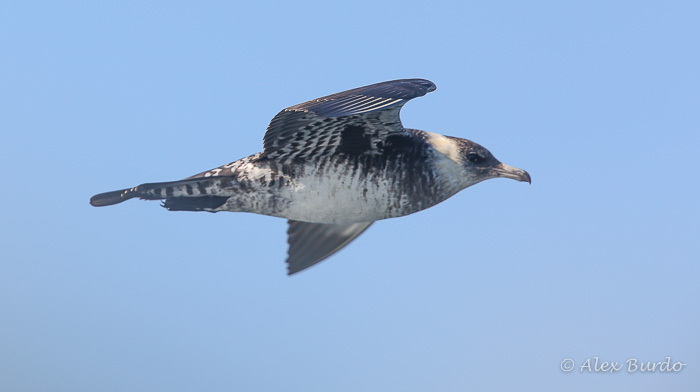 Limited views of the upperparts were consistent with the general points noted above (that is, noticeably pale and whitish). 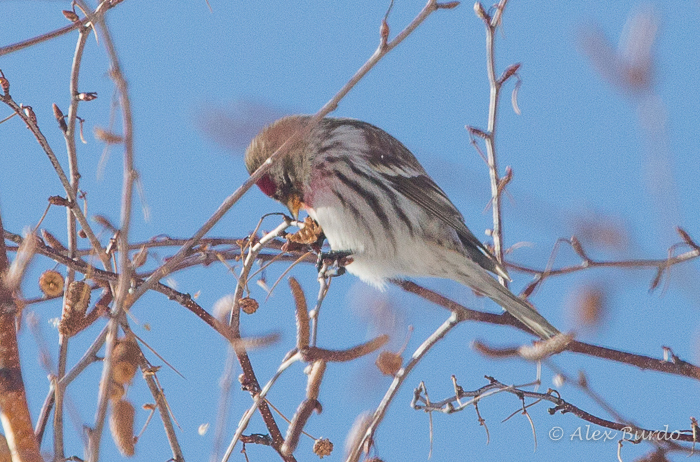 Hoary Redpoll; note the sparse flank streaking, the single streak on the undertail coverts, limited rosy of the breast, and overall paleness. Wow – look at that bill! How does that guy get anything in there? 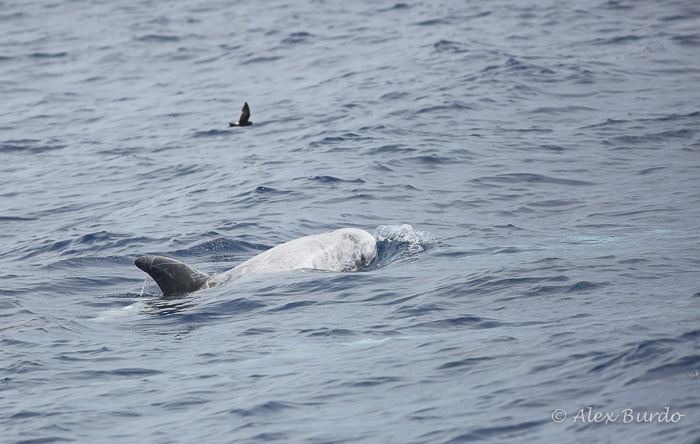 Note the paleness and slightly larger size in comparison to the adjacent Commons. 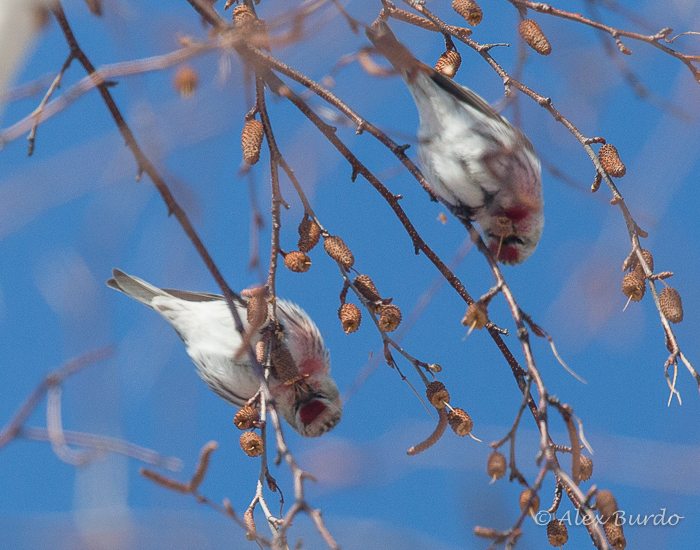 Despite these birds’ consistently close proximity to each other, comparison photos were slightly difficult to obtain, especially with my fixed lens. 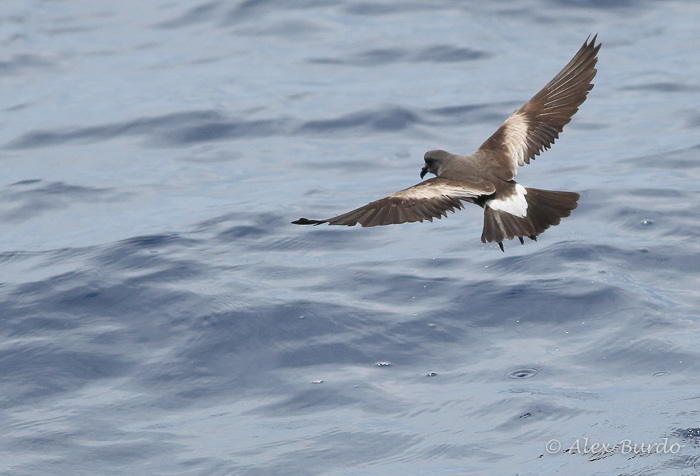 Now, a look at two birds that are really quite frustrating. The Hoary is presumably the lefthand bird, but quite honestly, were I at a slightly higher latitude, there’s a good chance I would’ve called both of these birds Hoaries. 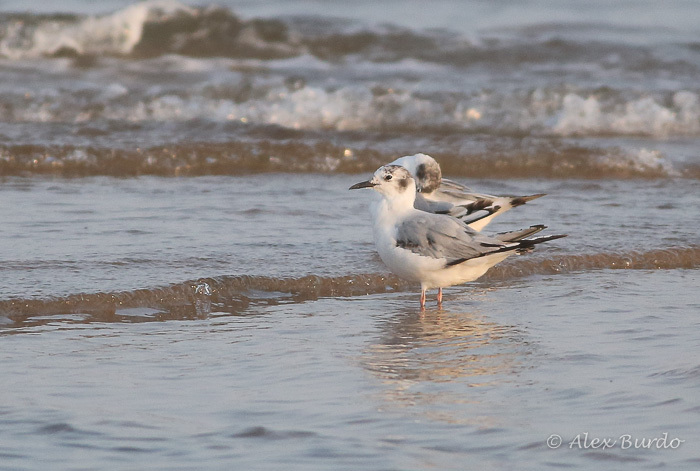 If you have any thoughts on these birds, please comment! 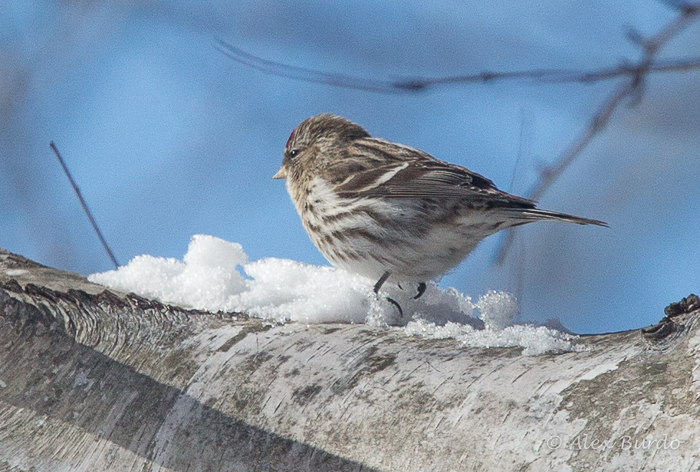 Also, a pale female Redpoll that was floating around for a while. Comments on this bird are welcome as well. 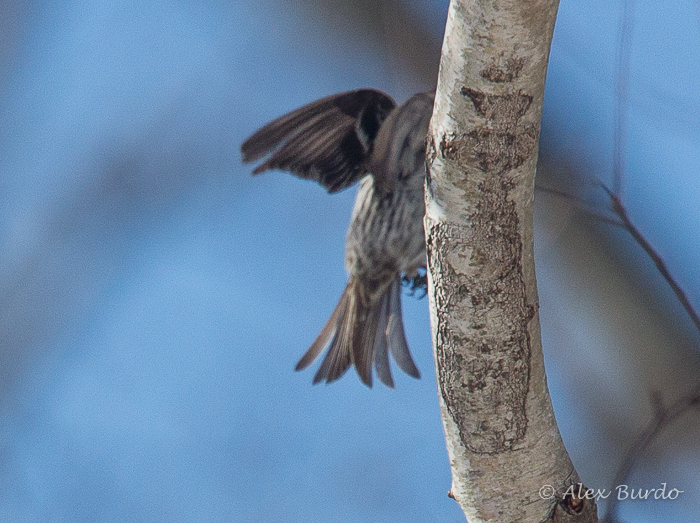 Note the very brownish, streaky appearance of this bird, approaching something like Pine Siskin. 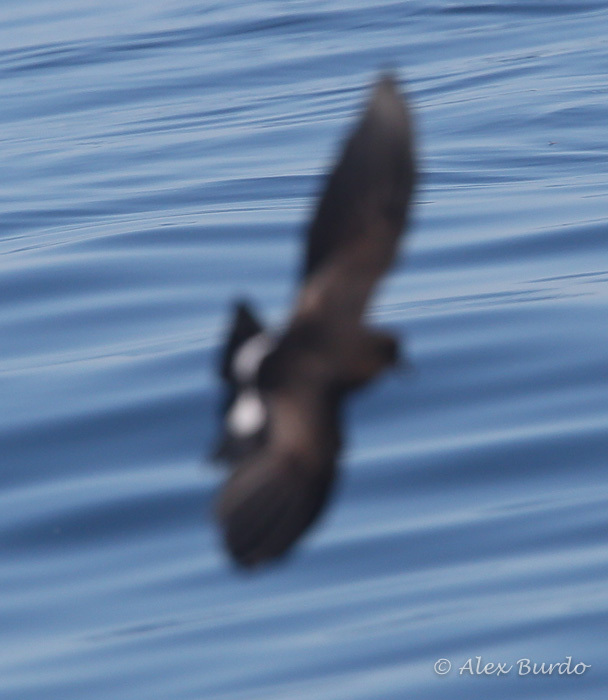 An out-of-focus shot of the rumps of one of the same bird. 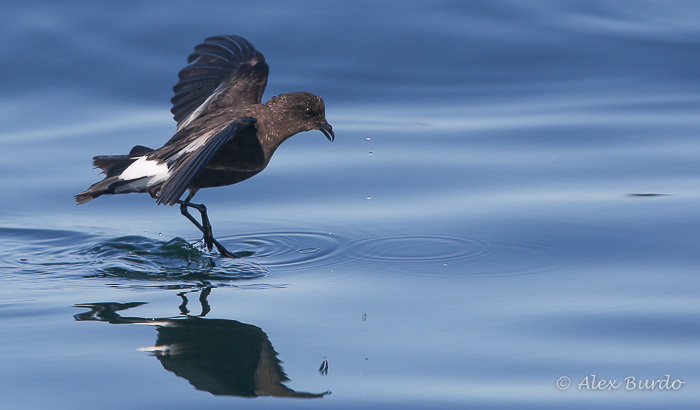 A Hoary’s rump would be completely white, lacking the streaking found on this bird. Comments on any of these photos would be much appreciated. 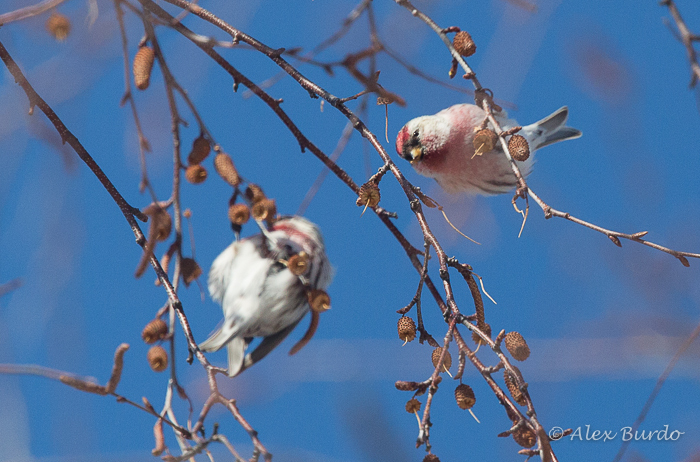 Redpoll identification is a tricky topic, no matter what the skill level, and any input would be helpful to the knowledge of the identification of this difficult group for all of us. 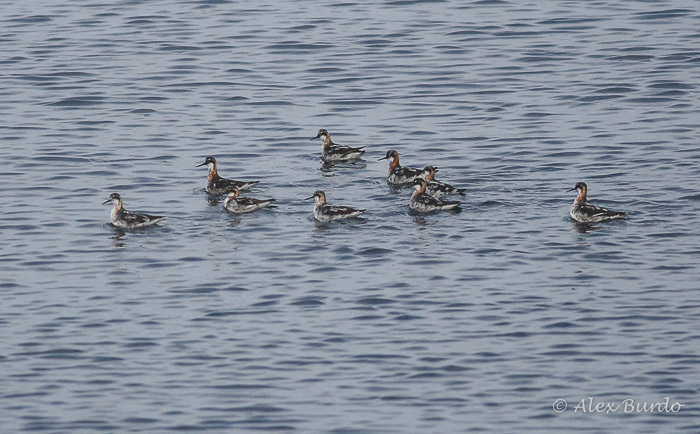 This photo shows many of the field marks mentioned above very well, including the very limited streaking on the flanks and undertail coverts, stubby bill, and overall paleness and bulky shape (even if there are no Commons in the photo with which to compare it). All in all, a really fun weekend. 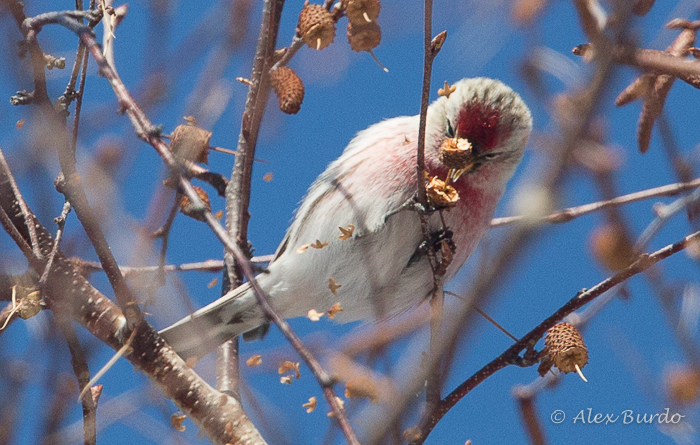 I was supposed to be spending my Saturday and Sunday concentrating on my upcoming Cuba trip, and not digging into the world of Redpoll ID, but you can blame the Hoary Redpoll for that.